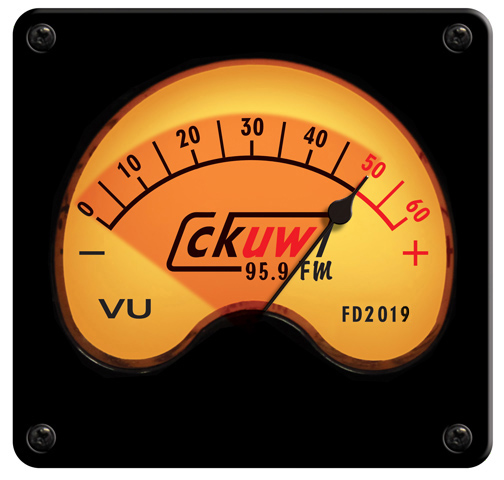 A comprehensive, searchable index of CKUW’s entire music collection. Run every summer by CKUW, Radio Camp offers youth a chance to learn about radio and media, as well as have fun and make friends. In 2004 we created the “Transmissions” CD. 18 songs recorded live at CKUW or specifically for broadcast on CKUW. It’s a snapshot of our first 5 years on air and includes some really great performances. Originally available during Fundrive 2004, and now made available online. A project of Fundrive 2009, we asked 10 local artists to cover an inspirational local artist to celebrate our 10th anniversary. Here are the results! Every Saturday in June, tune into CKUW for live garage sale radio. Starting at 9am, our band of volunteers scours the city for the best (and worst) deals to be had though back yards and lawns all over Winnipeg. At the Monarch’s Convenience is a serial radio drama that revolves around the fictional “Monarch’s Convenience Store.” As a drama reflects the neighbourhood of Winnipeg’s West End in every conceivable way. Its content, format, and style are drawn from the life found on the streets. Work It Out is CKUW’s high-energy morning exercise program. Originally aired Tuesday and Thursday mornings, January – June 2012.